The Envirionmental Protection Agency started a process today that could result in its first formal veto of an Army Corps of Engineers water-pollution permit for a mountaintop-removal coal mine, and it involves one of the largest such mines and one of the nation's largest producers, Arch Coal. EPA said in a press release that it acted "after extended discussions with the company failed to produce an agreement that would lead to a significant decrease of the environmental and health impacts of the Spruce No. 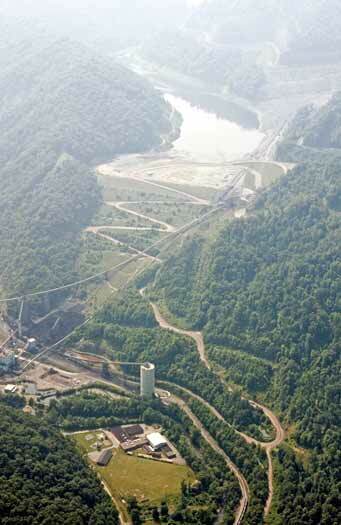 1 mine," in southern West Virginia's Logan County. Region 3 Administrator Shawn Garvin said environmental damage from the Spruce Mine would be "irreversible." As permitted, the mine would cover 2,278 acres and affect seven and a half miles of streams. As states cut budgets while trying to keep as much money as possible going to classrooms, school-district consolidation is becoming a more attractive option. 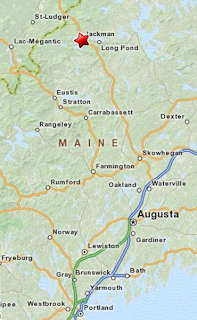 Maine mandated consolidation in several districts in 2007, "Vermont is considering a range of proposals that would dramatically reduce its number of school districts and Mississippi Gov. Haley Barbour has asked a blue-ribbon commission to come up with a plan for reducing the state’s number of school districts by a third," Melissa Maynard of Stateline.org reports. While savings promised by many consolidation plans are attractive, "Consolidation of anything related to schools is notoriously difficult, and doesn’t always turn out to provide the fiscal windfall states hope for," Maynard writes. Many plans promise the changes will be largely administrative as opposed to actually losing schools, but that hasn't stopped locals from fighting back. "It’s very easy to conflate consolidating school districts with consolidating schools," Jennifer Bradley, a senior research associate at the Brookings Institution, told Maynard. "The subject seems to drop straight to, ‘We're going to lose our football team.’ I don't think anybody particularly rallies around their school district administration building." Rural-school advocates say administrative consolidation is just the first step toward communities being forced to close their schools. "It's never about district consolidation, even when they say it is; it's always about closing schools," Marty Strange, policy program director at the Rural School and Community Trust, told Maynard. "School district consolidation is just a shoehorn. It's a lot more pleasant to talk about off wasteful administrators than it is to talk about laying off someone's child's teacher." In many small towns where the school district consists of only one school the terms are often synonymous, Maynard writes. Fear that animal-rights groups might persuade the Democratic-controlled Congress would move to ban hunting has lead several states to try and include "right to hunt and fish" clauses in their constitutions. "This year, residents of Tennessee, Arkansas, and South Carolina will vote on right-to-hunt initiatives, and North Carolina and other states may yet add hunting-related constitutional amendments to their ballots," Suzi Parker reports for The Christian Science Monitor. "It's better to be safe on the front end than wait and deal with the problem when it's too late," Steve Faris, an Arkansas Democratic legislator who sponsored a ballot measure to make hunting a constitutional right, told Parker. Ten states include the right to hunt in their constitutions, with Vermont first adding the protection when it was created as an independent entity in 1777, and Oklahoma most recently adding it in 2008. "It goes to the liberal nature of our nation's government and California's government. We are going to lose all our gun rights," South Carolina Republican Assemblyman Bill Berryhill, told Parker. "They do it incrementally. We should lock in the right to hunt for hunters and outdoorsmen and ensure it won't be taken away." While the National Rifle Association and other pro-gun groups see a hunting ban as a real risk, critics of such measures call them a "manufactured 'wedge' issue – like gay marriage and so-called partial-birth abortion – to bring out voters for conservative candidates in swing states," Parker writes. Michael Markarian of the Humane Society of the United States told Parker, "We haven't opposed these measures. We don't really view them as having much of an impact. These proposals are a solution in search of a problem. Every state allows hunting." A new report from the Chicago Council on Global Affairs says the rural Midwest must "move past silos and smokestacks" to remain competitive in the 21st Century global economy. To encourage new industry and job creation, the region needs to "partner regionally to compete globally," writes report lead author Dr. Mark Drabenstott, founding director of the Rural Policy Research Institute Center for Regional Competitiveness. He reveals that nearly 80 percent of the money in development budgets in the 12 Midwestern states goes to recruitment incentives for projects like factories. "The Midwest can no longer base its 21st Century future on this 20th-Century playbook," Drabenstott writes. The report, "Past Silos and Smokestacks: Transforming the Rural Economy in the Midwest," was released as the U.S. Department of Agriculture's Rural Development directors for the 12 states -- Illinois, Indiana, Iowa, Kansas, Michigan, Minnesota, Missouri, Nebraska, North Dakota, Ohio, South Dakota, and Wisconsin -- meet in Chicago today to discuss how to allocate nearly $722 million in funding, according to a Newswise release. Evangelical Christians tend to be among the most ardent climate-change skeptics, but some are believers in both ways, and a new movement is emerging to tie God and green together. Many younger evangelicals "are making a spirited effort to show that their religious beliefs and their environmental concerns are not only compatible but inextricably linked," Gregory M. Lamb of The Christian Science Monitor reports. UPDATE, March 27: The possible loss of federal funds means the bill "is not going anywhere," Senate President David Williams said. As adult stores have sprung up along interstate highways in rural areas, appealing mainly to travelers, some locals have fought back by erecting religious signs and symbols near or next to the businesses. But at least one such billboard in Kentucky appears to run afoul of federal law, and a state legislative bill to protect the sign and other non-commercial billboards could cost the state as much as $42 million in federal highway funds, the chief federal highway official in Kentucky has warned. "Having been warned, the Transportation Cabinet opposes the bill and has forwarded the federal government's concerns to the Senate, where the bill awaits committee action," John Cheves reports for the Lexington Herald-Leader. Cabinet spokesman Chuck Wolfe told him, "At a time when we're cutting back on road maintenance because of the budget, we simply cannot afford to lose more than $40 million." A new report from the National Wildlife Federation says Indian tribes have the resources to generate vast amounts of renewable energy, but been hurt by a lack of tax incentives and insufficient transmission infrastructure. "The potential is tremendous," Bob Gough, secretary of the Intertribal Council on Utility Policy, which represents 15 tribes in the northern Great Plains, told Phil Taylor of Environment & Energy Daily. The 15 tribes represented by the council account for an estimated 200,000 megawatts of renewable energy potential. Tribal leaders say tapping that energy potential "will require tribes and their development partners to overcome regulatory hurdles that typically extend project development by about two or three years," Taylor reports. Only one commercial-scale wind farm has been built on tribal land. Until more tribal energy projects are put through the permitting process, investors are likely to shy away from such partnerships,Tracey LeBeau, interim executive director of the Indian Country Renewable Energy Consortium, told Taylor. In the latest example of the growing feud between coal and natural-gas interests, the chief executive of oil giant BP said Wednesday that coal jobs weren't worth sacrificing the U.S.'s "clean energy" future. Tony Hayward told an audience at the Peterson Institute for International Economics in Washington that the nation's attempts to save coal jobs have come at the expense of clean-fuel industries and there is no reason to keep building coal-fired power plants in the U.S., Mike Soroghan of Environment and Energy Daily reports. "Hayward's comments reflect an increasingly bitter political rift between two of the largest elements of the country's energy industry -- coal and natural gas," Soroghan writes. Gas-industry executives were angered by extra protections afforded coal in the House climate bill passed last fall, and say if lawmakers want to cut carbon emissions, they should look more to gas, which emits about half as much carbon as coal when burned. Proponents view gas as, at worst, a bridge fuel to a low-carbon future, or, at best, "a permanent fixture of a diverse approach to lowering emissions," Soroghan writes. 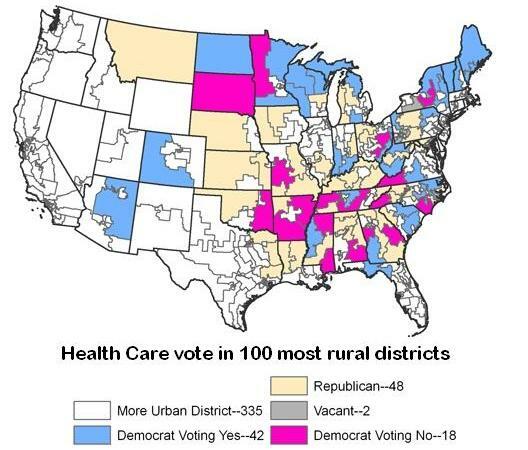 Many of the rural Democrats who voted against the health-care reform bill this week cited its impact on rural hospitals, but some who voted for it said the law will help such hospitals. At least one expert in rural health policy believes the law will be a "net gain" for rural populations, but the effect on rural hospitals is still unclear. The impact might be greatest in the Southeast, where the "no" votes were concentrated. Rep. Ben Chandler of Kentucky, a Blue Dog Democrat, told the Lexington Herald-Leader, "This bill still does not address the concerns I had about its effect on our seniors, rural hospitals, and the overall cost to taxpayers. Rural hospitals might be hurt by a cut in payments they receive for providing indigent care, and senior citizens might suffer from Medicare reductions, both of which the bill requires to help pay for its staggering cost." But the effect may be different in other regions, states or congressional districts. Dr. Keith J. Mueller of the Rural Policy Research Institute at the University of Nebraska, said in an interview that rural hospitals, primarily in the Southeast, will feel the bite when Disproportionate Share Hospital payments, known as DSH ("dish") payments, are gone. But in other parts of the country, not so much. Mueller explained that phasing out DSH payments is designed to occur in tandem with the increase in other forms of insurance. For areas that will have mostly privately insured or Medicare patients, losing the DSH payments will be inconsequential or financially advantageous. But the Southeast — with high unemployment, poor health and poor access to health care — the newly insured (based on the new criteria for eligibility, 33 percent above the poverty line) will likely be covered by Medicaid. Some believe Medicaid payments won't fully replace DSH payments, leaving hospitals holding the financial bag. And even with increased numbers of insured, 23 million people will still likely be uninsured. Someone will have to continue to pay for their health care, and hospitals assume it will be them. Mueller also points out that with the reform, those folks who are newly insured will be more likely to see a doctor than when they were uninsured. Presumably, they will have better health care, but the question remains: Will the Medicaid payment cover the cost of service? One important factor in rural health remains unchanged: Critical access hospitals, which are all rural, will continue to be funded as they are now. Their payment structure is based on a different regulation and will continue to be the cost of service, plus 1 percent. Ultimately, Mueller says, the health reform act is designed with individuals and small groups in mind and the rural population is typically made up of individuals and small groups. "The is one more giant step towards universal coverage," he said, adding that while rural folks will not be a disproportionate share of the newly insured population, rural residents now uninsured should benefit greatly. A weekend protest from environmentalists directed at a planned solar energy power plant is the latest example of growing tension between environmental groups and renewable-energy interests. About 20 people hiked several miles of the 3,400-acre site of the planned Ivanpah Solar Field, just on the California side of the Nevada border, to raise awareness of the rare and endangered plants and animals that would be harmed by construction, Stephanie Tavares of The Las Vegas Sun reports. Participants belong to environmental groups including the Sierra Club, the Center for Biological Diversity, the Western Watersheds Project and Basin and Range Watch, but were reported to be acting independently of those organizations. "Renewable energy developers have long been the darlings of environmental groups, but Saturday’s event highlights a growing rift within those groups," Tavares writes. These environmentalists support renewable energy, but only as a form of "distributed generation," where rooftop solar panels and backyard wind turbines replace massive new power plants and new transmission lines. "I don’t understand why so much emphasis has to be put on these gigantic projects that are taking up wild open space," hiker Laura Cunningham told Tavares. "Reducing electricity consumption even a tiny bit and deploying urban technologies like rooftop solar first, before we start bringing out the bulldozers, would be better for everyone." The department asks that the survey be completed by Friday, April 9, to be included in the state-wide assessment of broadband availability. We've been following the attempts of Great Lakes states to thwart migration of Asian carp from the Mississippi River system, most recently here, but now one Southern state is voicing concerns about the invasive species. The Tennessee Wildlife Resources Agency says the carp have been spotted in the Cumberland River as far upstream as Cheatham Dam in Ashland City, upstream from Lake Barkley and downstream from Nashville, Anne Paine of The Tennessean reports. "Every year they just get thicker and thicker," Thomas Peach, a commercial catfish fisherman in Camden, Tenn., told Paine. "Each year they get further up the river. We're worried about what's going to happen to our fish — all fish. Not just commercial fish." Tennessee officials are now trying to determine if the carp can spawn in state waters other than the Mississippi. One fisherman reported hauling in as much as 5,000 pounds of silver carp in a day from the northern portion of Kentucky Lake, which is part of the Tennessee River. "It's one thing to deal with migrants coming through locks. It's another thing if they get to Pickwick," the next Tennessee Valley Authority dam and lake upstream, Bill Reeves, chief of TWRA's fisheries division, told Paine. "If the numbers are there and the flow is there that creates the optimum conditions for spawning, they'll fill the lake up." "Tennessee has a lot to lose, with $1 billion a year spent on sport fishing and about $3 million coming from commercial fishing. Plus the state, which is highly bio-diverse, has 315 fish, 120 mussel and 84 crawfish species to protect," Paine writes. Tennessee, like other states affected along the Mississippi River, is beginning to consider tactics to use the carp to its advantage, like selling them for food. The Tennessean also posted this 14-page presentation about Asian carp on its Web site. (Read more) The carp were brought to the south to control grass in fish-farm ponds and escaped during floods. Of course, not everyone shares the same view of the law's effect on rural America. Iowa Republican Sen. Chuck Grassley is working to restore what he calls "rural health care equity" to the Senate consideration of the House-approved changes, Matt Kelley of Radio Iowa reports. "The issue is how Medicare is going to calculate payments to physicians and unfairly penalize rural doctors, making it harder for rural Medicare beneficiaries to find a doctor," Grassley told Kelley. Grassley said his amendment to the original bill was undermined by language that provided extra help to so-called "frontier states" Montana, North Dakota, South Dakota, Wyoming and Utah. Kentucky Democratic Rep. Ben Chandler told John Cheves of the Lexington Herald-Leader he voted against the law because, among other things, "rural hospitals might be hurt by a cut in payments they receive for providing indigent care." Rural colleges in Utah are headed toward extinction, according to Brian Maffly of the Salt Lake Tribune. "Utah's two-year institutions have become hybrids offering four-year degrees, whose administrators yearn for university status," he writes. "The changes have unfolded without much planning from the State Board of Regents, and could mean less access for the state's most marginalized residents: minorities, the poor and students whose high schools didn't prepare them well for college." Most of Utah's institutional leaders endorse the direction, saying students increasingly enjoy access to four-year programs in every corner of the state and can seamlessly matriculate into the universities. 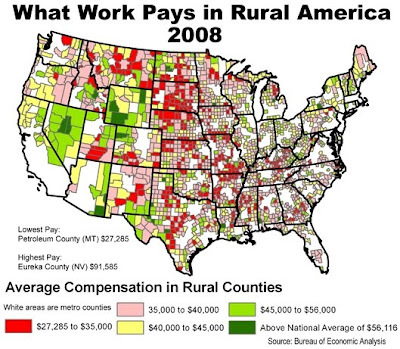 The average compensation for a U.S. worker in 2008 was $56,117, and that figure was exceeded in only 41 of the 2,037 rural counties, Bill Bishop of the Daily Yonder reports, citing data from the federal Bureau of Economic Analysis. BEA counts both pay and benefits in its measure of total compensation, and factors in only compensation of the employed, leaving out benefits for unemployment, disability and so on.) While rural areas of the Great Plains have boasted lower unemployment rates than the national average during the recession, these areas also have some of the lowest average compensation of any U.S. counties. Conversely, "coalfield counties of southern West Virginia and Eastern Kentucky are always listed among the nation’s poorest, but for those who have jobs, compensation is among the highest in rural America," Bishop writes. The bipartisan climate-and-energy bill being written in the Senate reportedly includes language to discourage the Environmental Protection Agency from regulating the oil-and-gas drilling technique of hydraulic fracturing, Mike Soraghan of Environment & Energy Daily reports. A "discussion draft" from three oil-and-gas companies obtained by E&E reveals they are lobbying Congress to include language in a climate bill that would leave "fracking" regulation up to the states. Amy Mall of the Natural Resources Defense Council told Soraghan that the federal government needs to provide "a minimal regulatory floor" for states because "Communities across the country have completely lost trust in state regulators to protect their drinking water." However, the language in the proposal regarding fracking would be non-binding, "'sense of the Senate' language with no real legal impact," Soraghan writes. (Read more, subscription required) UPDATE: Soraghan notes in a follow-up report, "But if the House were to pass legislation ordering federal regulation of fracturing, it could serve as a counterweight in conference negotiations." Meanwhile, environmental groups have grown weary of vote-attracting compromises in the bill, to be sponsored by Democrat John Kerry of Massachusetts, Republican Lindsey Graham of South Carolina and Independent Joseph Lieberman of Connecticut. One deal would open U.S. coastlines to expanded drilling, Darren Samuelsohn of Greenwire reports for The New York Times. "We're not sure what we're getting now," Erich Pica, president of Friends of the Earth U.S., told Samuelsohn. The new Senate bill isn't expected to be unveiled for another month. On Friday, 22 Democratic senators sent a letter to Majority Leader Harry Reid calling for floor action on a climate bill this year, Samuelsohn reports for E&E. The recession may be ending, but local government budget cuts resulting from the downturn may have long-lasting implications, at least in Georgia, where the state has cut its budget too. "Experts say those lean years will finally dissipate to reveal a new reality: Local government will have been right-sized or wrong-sized, depending on your perspective, but it will be smaller," Richard Halicks reports for the Atlanta Journal-Constitution, "And our assumptions about it and our expectations of it will be altered, too." Alan Essig, a former state budget analyst who heads the Georgia Budget and Policy Institute, told Halicks, "In most past recessions you have that one year of pain and then you can put things back together. This is going to be very different. We are fundamentally resizing government ... If we’re not going to increase revenue some sizable amount, all these budget cuts are permanent." Hawkins concludes, "If you can think of a service provided by local or state government, chances are good that you’ll be able to find either a reduction in that service or an increase in what you pay for it, or both." Results from a two-year study have focused more attention on one possible cause of the mysterious colony collapse disorder affecting beehives across the country: pesticides. "Christopher Mullin of Pennsylvania State University in University Park and his colleagues describe widespread pesticide tainting in 749 samples of bee-dom, some of those chemicals at levels that would be toxic if they occurred alone," Janet Raloff of Science News reports. "Except that most bees aren’t exposed to just a single pesticide." The researchers found eight different pesticides on average in the 259 beeswax samples, and seven chemicals on average in the 350 pollen samples retrieved from hives. The 140 bees sampled average about two chemicals per bee, Raloff reports, although one pitiful bee contained 25 different pesticides. The researchers suggested bees were less contaminated because many died before ever making it back to the hive to be chosen in the study. The U.S. Department of Agriculture vowed Friday to begin enforcing organic farming regulations after an auditor exposed major gaps in federal oversight of the industry. Among other things, USDA promised to begin enforcing rules requiring the spot testing of organically grown foods for traces of pesticides, William Neuman of The New York Times reports. Spot testing is required by the 1990 law that established the basis for national organic standards, but a report by the department's inspector general revealed regulators never made sure the testing was being carried out. New European regulations will require horses bound for slaughter to have detailed medical and drug records or be quarantined for six months, MacQuarrie reports. Race horses that have been injected with painkillers and steroids can enter the market with little or no oversight. Brenda Hemphill, a Maine horse farmer who is called a "kill buyer" by critics because she purchases horses to sell for slaughter in Canada, told MacQuarrie her business "provides an alternative for horse owners who can no longer afford their animals' upkeep or find them a suitable home." An Illinois bill, which we have previously reported, would have reopened horse slaughter facilities in the state. The legislation has died in the Illinois House, Kevin McDermott of the St. Louis Post-Dispatch reports. While large cities have been abandoning police escorts for funeral processions for several years, the trend is coming to smaller cities and towns during the recession. "The funeral cortège, a staple of mourning in the USA for generations, is rolling up against modern realities," Larry Copeland of USA Today reports. Concerns about staffing, cost and officer safety forced police in Gulfport, Miss., to limit processions to only five cars. "We could either limit the number of vehicles, or not do (funeral escorts) at all," Lt. Brian Smith, head of the city's traffic unit, told Copeland. Liability concerns have also come to the forefront of the debate. Courts in Tennessee and Florida ruled that police and funeral homes providing escorts for funeral processions can be held liable for crashes occurring during the processions, Copeland reports. Most states require the lead vehicle in the procession to obey stop signs and traffic lights, but subsequent vehicles in the chain are not required to obey traffic laws. That hasn't stopped many funeral processions from being cited for running red lights caught on traffic cameras. The Georgia House of Representatives is considering a law that would require camera companies to include on citations a box saying the vehicle owner was part of a funeral procession when the violation occurred. Hundreds of community banks have yet to return their federal bailout money, indicating that some are still in trouble. Large banks were "among the quickest" to return the investments, but many community banks are failing to pay 5 percent quarterly dividends to the government because they "are struggling with losses on real estate development loans," report Binyamin Appelbaum and David Cho of The Washington Post. Many urban Americans' primary contact with rural America is on the Interstate highways strung between metropolitan areas. For rural Americans, the roads are increasingly routes to work, health care, culture, recreation and relatives. We rarely meet on the road, but we share its rules, and even help change them. We have effectively increased speed limits. Anyone who drives these roads much knows that; now we have data to suggest a consensus limit: 70 miles per hour.